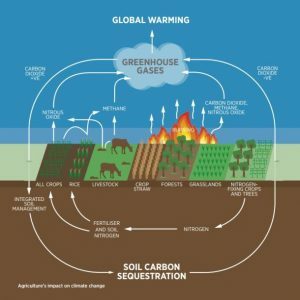 Expand the mission of the Greenhouse Gas Sequestration Task Force by requiring that the Task Force examine opportunities to exploit carbon sequestering trees and vegetation to reduce urban temperatures and thereby protect public health. Provide research, education, and technical support for agricultural activities and aquacultural activities identified by the Task Force. The Task Force is a step towards meeting Governor Ige’s Hawaii Sustainability Initiatives and achieving Hawaii’s statewide commitment to integrated sustainability goals by 2030 for clean energy, local food, natural resource management, solid waste, smart sustainable communities, and green education and workforce. Pursuant to Act 15, the Task Force is comprised of 19 members and the Director of OP will serve as its chair. Task Force members may recommend to the Task Force additional members with appropriate specialized expertise, subject to approval by the chair. The Task Force will submit a draft report of its findings and recommendations to the Hawaii State Legislature and the Climate Change Mitigation and Adaptation Commission the no later than twenty (20) days prior to the convening of the regular session of 2023 and will submit a final report no later than twenty days prior to the convening of the regular session of 2025.